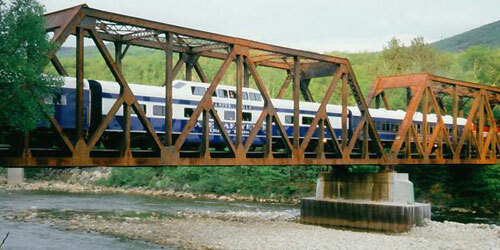 Excursion trains provide a round-trip sightseeing experience. Explore New England’s mountains, fall foliage, river valleys and wildlife from the comfort of an old-time train with full amenities. 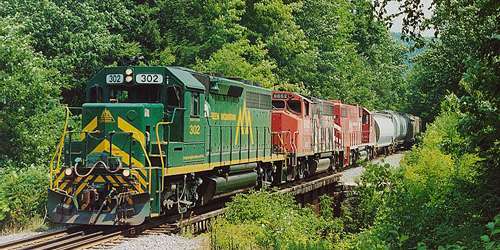 Seasonal train excursions celebrate fall foliage, Halloween, and the holidays. 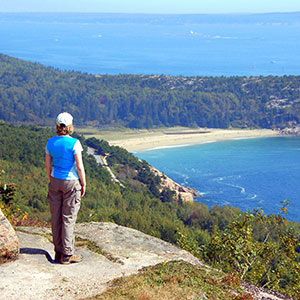 These family-friendly trips through scenic, historic routes offer a variety of seating and dining options, special events for kids, and a vintage journey through nature’s beauty. 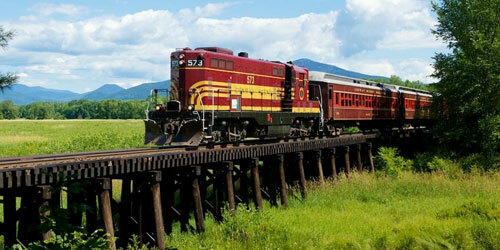 Your 2½-hour excursion begins at historic 1892 Essex station. The first part of your trip is behind one of our steam locomotives—two of only 100 steam locomotives in service in the U.S.! That’s down from 180,000 steam locomotives in the heyday of steam. 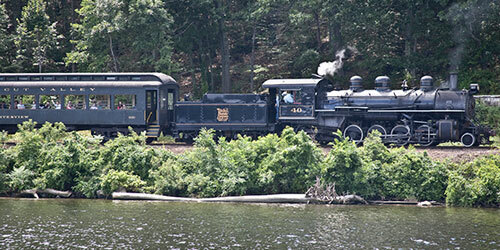 Connect with the Becky Thatcher riverboat at Deep River Landing for a scenic journey through the Connecticut River Valley and discover one of “the last great places on Earth.” The train then returns you to Essex Station. Rain or shine. 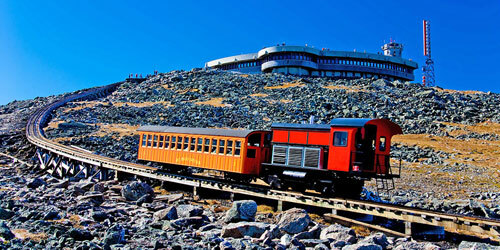 You'll marvel at the spectacular views from your coach window as your train climbs the steepest railroad tracks in North America. It's an exciting and unforgettable experience for the whole family. Three-hour round trip with onboard audio tour. 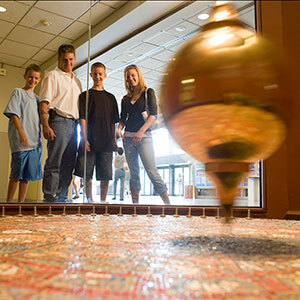 Includes free admission to the Observatory Museum at the summit. Base Station with museum, restaurant and gift shop.